Cheap Weekend Fun in Boston for January 10-11, 2015! Anyway, here are some fun things to do in Boston for the second weekend in January! Hope you all have a great weekend whatever you decide to do! JCC Open House: Sunday, January 11, 2015 at the JCC of Greater Boston in Newton from 8am to 11am. Enjoy this free fitness Open House in Newton and enjoy free zumba, bootcamp and much more! Free and open to the public. Free Snowshoeing and Cross Country Skiing: Saturday, January 10, 2015. Enjoy the annual winter trails day at participating sites across Massachusetts and the country! Winter Wellness Walks: Sunday, January 11, 2015 at the Arnold Arboretum from 1-1:45pm. Take a brisk walk this winter at the Arboretum with a healthy dose of info from a tour guide. Free and geared towards adults. 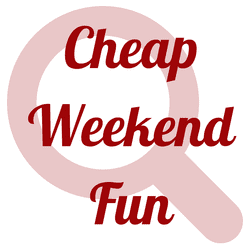 Please let me know in the comments if I missed any fun and budget-friendly events in Boston this weekend!